BOPP Films is Biaxially Oriented Polypropylene (BOPP) Film. Which is stretched in both the machine direction (MD) and across machine direction (AMD) during manufacturing.It has superior strength at low gauges, flatness, clarity and excellent printability. We offer all Grades of BOPP Films from print lamination grade 8 micron to 20 micron films in glossy, matte, pearl finish also thermal lamination films along with Adhesive tape & Garment bag grades. We offer label & Flexible packaging grades Heat Sealable – Corona Treated 15 to 60 micron films. 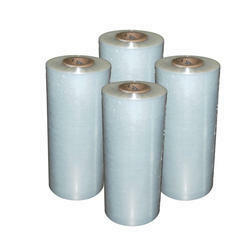 Our BOPP films have been carefully formulated and produced. 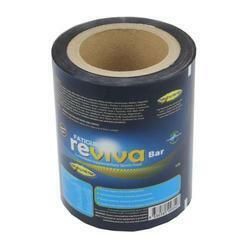 This has been used as base films for manufacturing of multiple purpose products. It is largely used for packing of highly sensitive food grade products, as well as it is the allied and compulsory product to be used by every packaging industry. We mainly cater BOPP print laminators, submersible winding wire manufacturers and flexible packaging industry. Our BOPP films are being manufactured by two fully integrated Stenter lines of the world's best : Bruckner, & Slitting machines from Kampf and our Principals have won global patents and the 'Golden Peacock Award' in the category of 'Eco-Innovation Devices/Products'. Our core strength lies with our proven team. This team has distinguished itself by its efficiency, technical knowledge, innovativeness, adaptability, and relentless pursuit of service excellence. This has helped us to adapt to the changing needs of market. Our products meet stringent requirements of hi-tech, niche applications. Our Principals, an ISO 9001: 2000 certified company, have pioneered the introduction of several speciality BOPP films and has achieved growth through the value addition route. Product range includes high gloss variant to standard Pearlescent BOPP film, speciality Print-Lam films (both gloss & matt) for export markets, Over-wrapped films with characteristic of high-speed, high-shrink & low-haze, speciality films for holography & labels, sealable films, opaque films, twist-wrap films and also release films for manufacture of decorative wooden laminates. Additionally, it specializes in films, suitable for high quality barrier grade vacuum metallization. 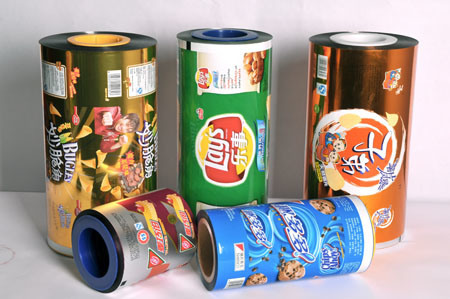 Heat sealable films automatic packing applications. Velmayil Enterprises is a member of Velmayil Group of Companies, founded on 1982, in Coimbatore.